The Aircon “Flex Air” valve was designed for use as airlocks, pneumatic feeders on conveying systems, or as product metering devices. Available in eight sizes, the valves can maintain an air seal at pressures or vacuums up to 17″ WG (water gage). A precision fabricated valve, the “Flex Air” features a one piece, full pocket, double wiper design. This design makes it possible to create the best air seal with flexible edge rotors. 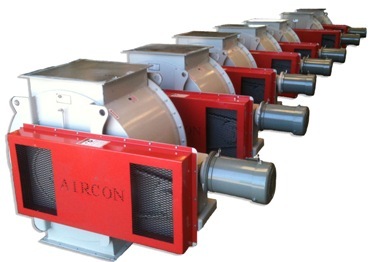 Aircon “Flex Air” Valves are ideal for use in industries such as woodworking, metalworking, grain, paper and many more.